Although the Rugby World Cup 2015 is generating some big numbers , the players themselves have yet to cultivate the sort of social-media presence seen in other sports, according to Adobe Digital Index (ADI). 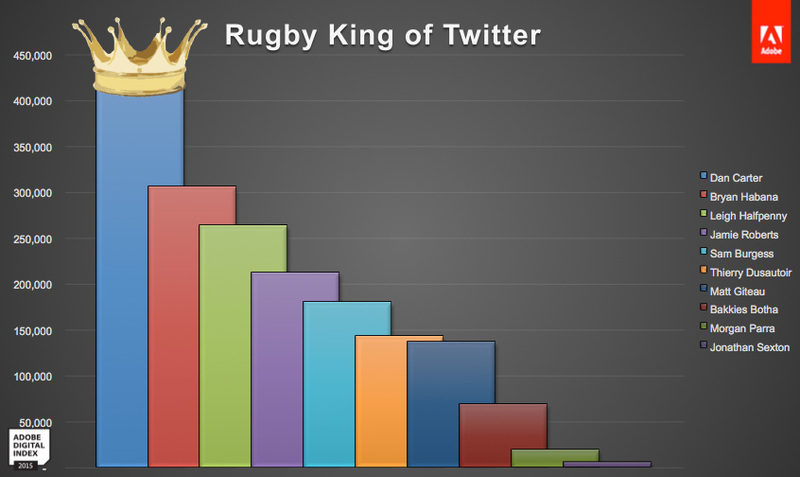 Measuring the following of athletes across Twitter and Facebook, it’s clear there’s a big discrepancy between top rugby players and the most socially active athletes across other sports. The most socially active major player is All Black Dan Carter, with just under a million followers across Twitter and Facebook. By contrast, the most socially active athlete in the world is footballer Cristiano Ronaldo, with a total of 142 million followers. Even compared with high-profile athletes across other sports, Carter’s following isn’t in the same league; basketball player Lebron James has 45 million followers, while tennis player Roger Federer has 17.6 million. Looking at rugby players only, there is room for improvement; Dan Carter leads the field with 450,000 followers and there is a substantial drop-off to the next most popular player, South Africa's Bryan Habana, who has 328,000 followers. Trailing in with a mere 4,500 followers is Ireland's Jonathan Sexton. 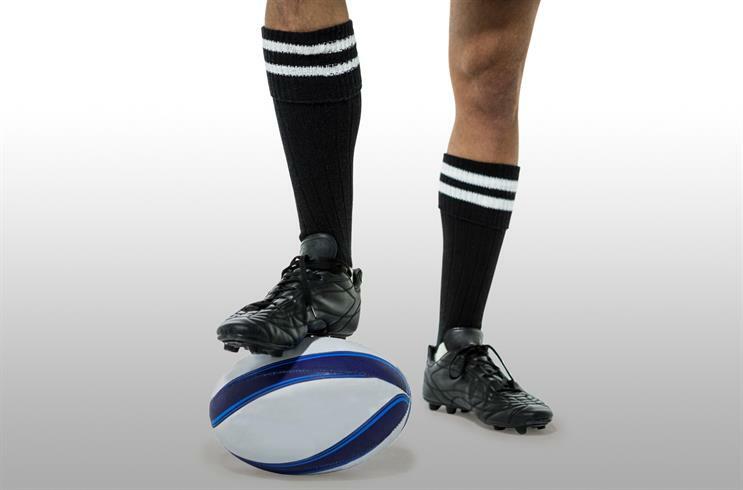 Rugby's current popularity and ubiquitous television coverage isn't matched by a corresponding following on social media for the players. 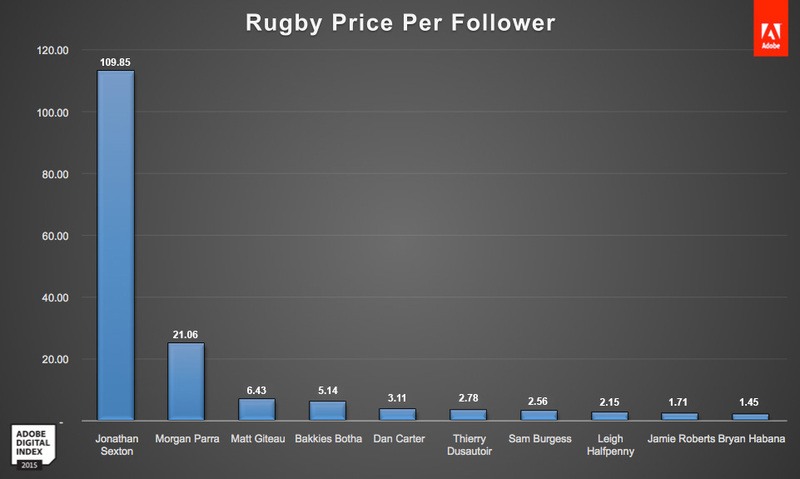 Compare the salaries of the most socially-active rugby players with their social media following, and it’s possible to calculate the price (to a sponsor) of each follower. With 4,500 followers and a salary of £494,000, Jonathan Sexton's followers cost £109.85 each – meaning that to get a return on his salary, he'd need to sell 0.86 iPhone 6 units per follower (priced at €129 from Ireland team sponsor Three). Bryan Habana's sponsor Asics, meanwhile, sells rugby boots for £77. For a return on his salary, he would need to sell one pair per 50 followers. With players earning high salaries and engaging in lucrative sponsorship deals, perhaps the brands need to demand a more noisy presence on social media from their players. Then again, that's the last thing any coach wants in the middle of a major tournament: a star player's misplaced tweet going viral.